Written by Shakespeare and John Fletcher, this play tells the familiar story of a love triangle. Here, though, it seems distant and strange. The play is based on “The Knight’s Tale” in Chaucer’s Canterbury Tales. Chaucer’s tale comes from an Italian poem by Boccaccio. 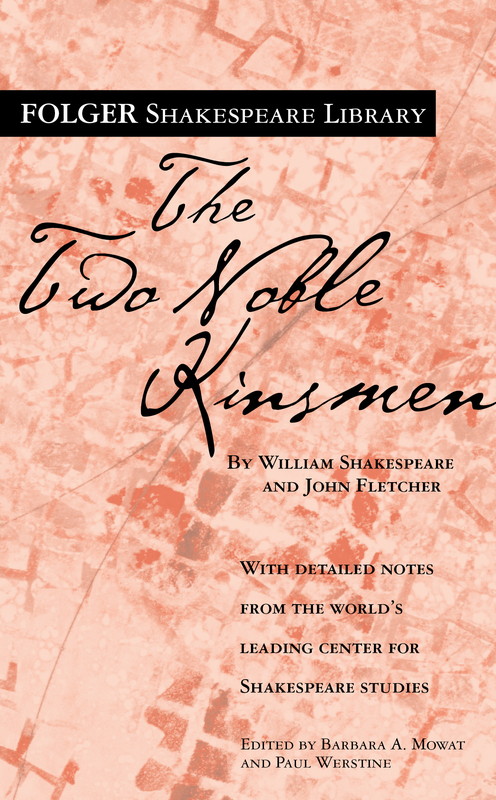 Thus in The Two Noble Kinsmen we have a late medieval narrative transformed into a seventeenth-century play. Initially, the Theban knights Arcite and Palamon are devoted kinsmen, both serving their king, Creaon, who is defeated by Theseus, Duke of Athens. After they are imprisoned in Athens, they see Emilia, sister of the Duchess of Athens, through a window. They become rivals for her love, eager to fight each other to the death, even though she does not know they exist. After Arcite is released and banished, and Palamon escapes, they begin their would-be fight to the death with chivalric ceremony. Theseus, happening on them, decrees that they must compete for her in a tournament, after which the loser will be executed. Emilia is no willing bride; as a girl, she loved Flavina, who has died. Still, she tries to avert the tournament by choosing between Arcite and Palamon, only to find she cannot. The jailer’s daughter, a character added by the playwrights, is infatuated with Palamon and helps him escape. But the social gulf between her and Palamon is unimaginably wide. Only the gods can bring the play to resolution.